On Being is a social enterprise with a radio show at its heart. Krista Tippett first created the show — originally called Speaking of Faith — at Minnesota Public Radio/American Public Media. 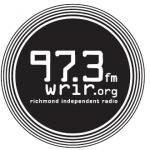 It launched on weekly, public radio stations across the U.S. in 2003. In 2013, On Being transitioned to an independent production (Krista Tippett Public Productions) on Loring Park in Minneapolis. On Being airs on more than 400 public radio stations across the U.S., and is distributed by Public Radio Exchange (PRX). Our podcast reaches a global audience via SoundCloud. We keep finding new ways to listen to our listeners and online communities, and they keep pointing new ways forward for this adventure. 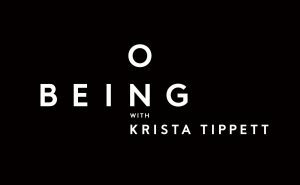 I just went to the http://www.onbeing.org/series/podcast/2/ page on their website and on May 24 the guest was Elizabeth Gilbert, the author of the very popular, “Eat, Pray, Love”. Who was the guest for on being for May 24? I caught the tail end and really enjoyed it but they never said their name… thank you.